Melody Stephens uses the new ECG device on a first time athlete to test for heart defects. 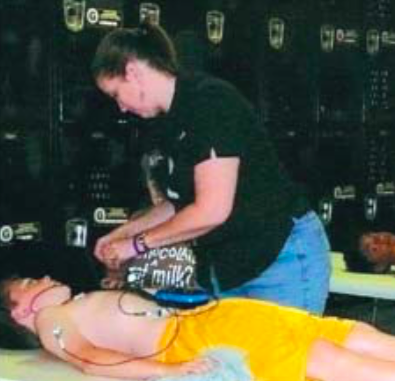 CROSBY – ECG Screenings are going to be performed at the Crosby Community Center this Saturday from 9:00 a.m. until Noon by the Cody Stephens Go Big Or Go Home Memorial Foundation to the general public from 7th grade and up, not just first year athletes or children. The Cody Stephens Go Big Or Go Home Memorial Foundation was begun by Scott and Melody Stephens following the death of their son, Cody, May 6, 2012 to Sudden Cardiac Arrest also called sudden death. When that happened only about 5% of Texas used ECG screenings in addition to the check ups traditionally used and required by the State U.I.L. committee. Now about 25% of school districts in Texas are using the screenings due to foundations throughout the state. Those wishing to have their heart checked by an ECG screening can register at the website www.codystephensfoundation.org. A limited number can be performed in the time allotted so make your registrations soon. This is a free heart screening, however donations will be accepted the day of the event. Because funding can detect life threatening conditions. As an example of the impact that the screening can have on seemingly healthy people, the University of Pittsburgh now screens their first time athletes with an ECG. This year their freshman class of athletes had two students discovered to need heart surgery. GALENA PARK — Mayor Esmeralda Moya continues to mold the city government into her own rules, as evidenced by actions at last Tuesday’s Commission meeting. Greeting the audience in English and Spanish, she then asked the city attorney, Robert Collins, to explain why citizens would no longer be able to bring up their own interests in a public comment period. According to Collins, the Open Meetings Act says all business of the Commision must be on the written Agenda, with no other comments allowed. His reasoning was that this protected citizens who were not present or not knowledgeable about what would be discussed. He suggested “workshops” as an alternative for citizens to express themselves. 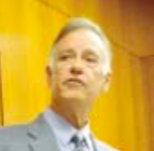 Although it was not discussed officially by the Commission, citizens outside the meeting were distributing flyers questioning why the attorney had presented an invoice of $26,000 for 7 days work. Collins told the North Channel Star that $19,000 of this was for “investigations” but declined to elaborate on what was being investigated. Collins also introduced another attorney, Dennis Houfek, who is aiding him in the investigations. Houfek was once an FBI agent, Collins noted. 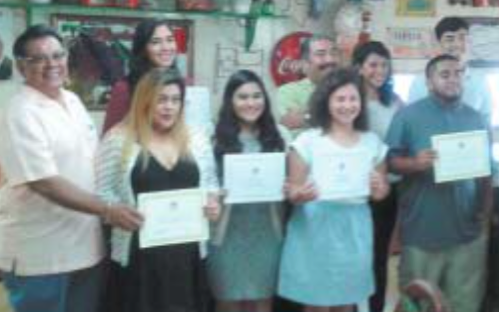 Galena Park LULAC Council 4703 recently held its 15th Annual Scholarship Awards Dinner at Don Chile’ Mexican restaurant. They have donated over $100,000 in scholarships since 2001. In the photo are Cruz R. Hinojosa, Jr., LULAC President, Scholarship recipients Amanda Alvarado, Naydelin Cruz, Elizabeth Rangel, Oscar Teran, Louis Cortez III, Natalia Vasquez, Veronica Gonzalez and Juan Flores, LULAC Scholarship Chair.